then that language will be recursive language. 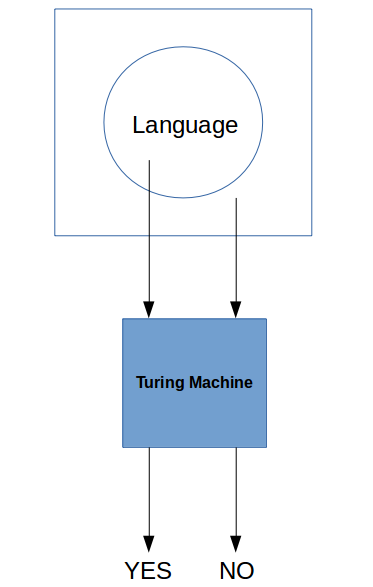 In above pic the outer rectangle is Σ*(all possible strings over given input) and langauge is a subset of it. Recursive languages are subset of Recursive Enumerable Langauges. 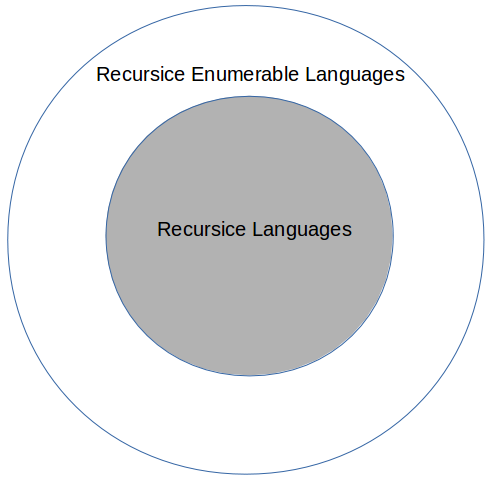 Means: Every recusrive language is recursive enumerable language but vice-versa is not true.